Fall is upon us in Southern California, at least that’s what I’m telling myself. The only way you know it’s Fall in SoCal is by looking at calendar. It’s sad really, especially for someone who loves everything Autumn. To make up for the lack of seasonal changes, my apartment is decked with Autumnal decor, and my oven is constantly baking up anything and everything pumpkin. 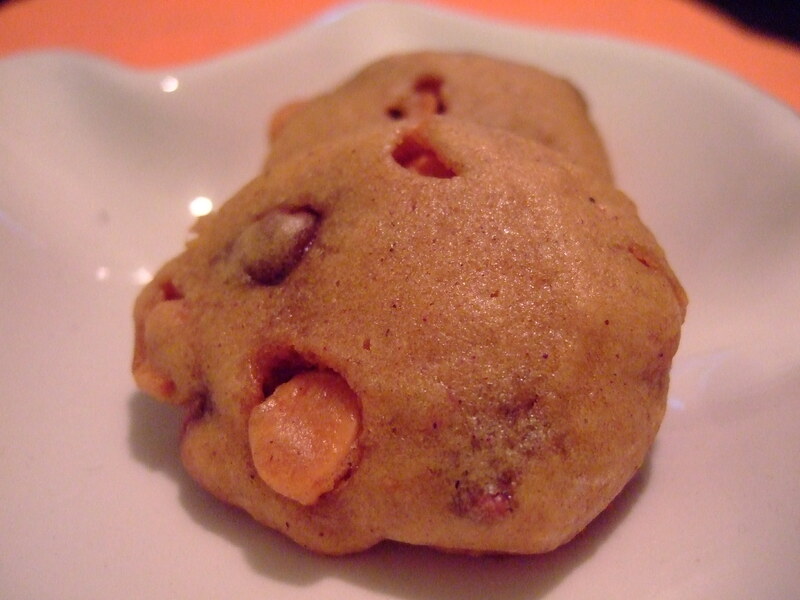 Today I bring you: Pumpkin Butterscotch Cookies with Chocolate Chips! Stir flour, baking powder, baking soda, salt, and spices together in a bowl and set aside. With an electric mixer on medium speed, beat the eggs and sugar until smooth and lightened in color. On low speed, mix the oil, pumpkin, and vanilla until blended. Combine the flour mixture until blended. Fold in the butterscotch and chocolate chips. Scoops small mounds of dough onto baking sheets, about 2 inches apart. Bake for 12-14 minutes.